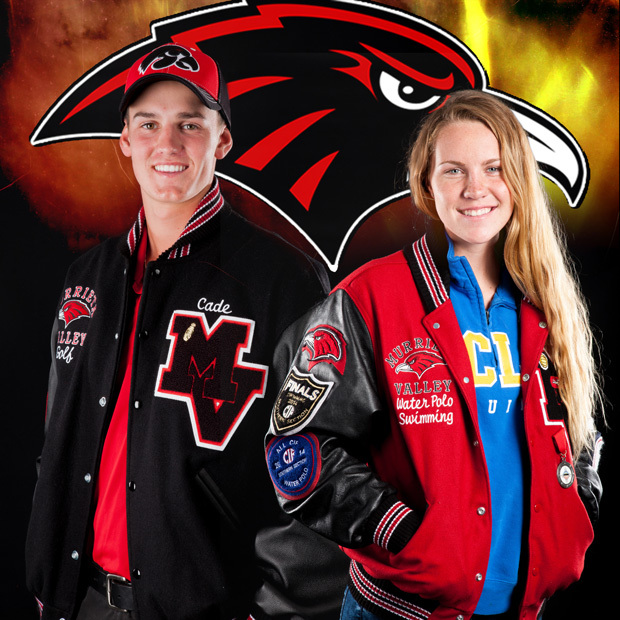 Golf standout Cade Casaga and swimmer Tara Prentice have been named the Murrieta 24/7 March Athletes of the Month for Murrieta Valley High School, sponsored by Photos DLite photography studio. Casaga, who has been playing golf for 12 years, has performed consistently all season for the Nighthawks. He lists his driving and putting as strengths he relies on for success. Asked to pick the highlight of his season, Casaga had more than one. "I can't decide which round is my most memorable round this high school season," he said. "It's either when I shot 33 at Canyon Lake when we played against Temescal Canyon or when we won as a team and I got first place Individual Medalist at the John Kirchenbauer Memorial Tournament. It was also memorable winning at home against Great Oak." Prentice is strong in both the 50 freestyle and 100 freestyle, consistently posting times around 24 seconds in the 50 and 55 seconds in the 100. "The highlights of this season so far is definitely going into league finals in first place and undefeated in league as well as the coaching staff always being so inspirational as well as making sure we not only develop as athletes but also as great human beings with great character," she said. "They allow us to be the best individuals we can be." Prentice's coach, Mike Gonzalez, had high praise for his star swimmer. "She is my go-to girl when it come to sprinting," he said. "I can put her in the 50 free or 100 free and I know she will always put enough effort to win the race." Anyone wishing to order a print copy of this article may do so by emailing murrieta247info@gmail.com.